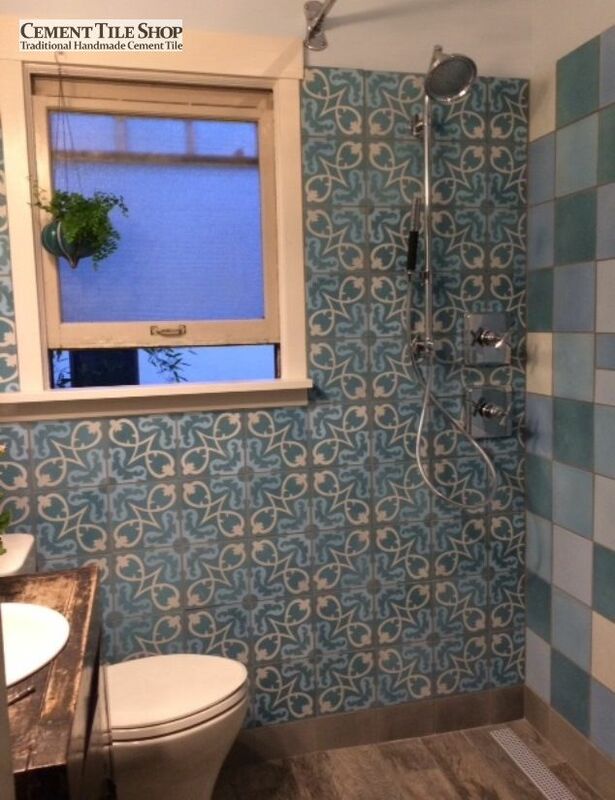 We love receiving and sharing pictures of our handmade cement tile from happy clients! 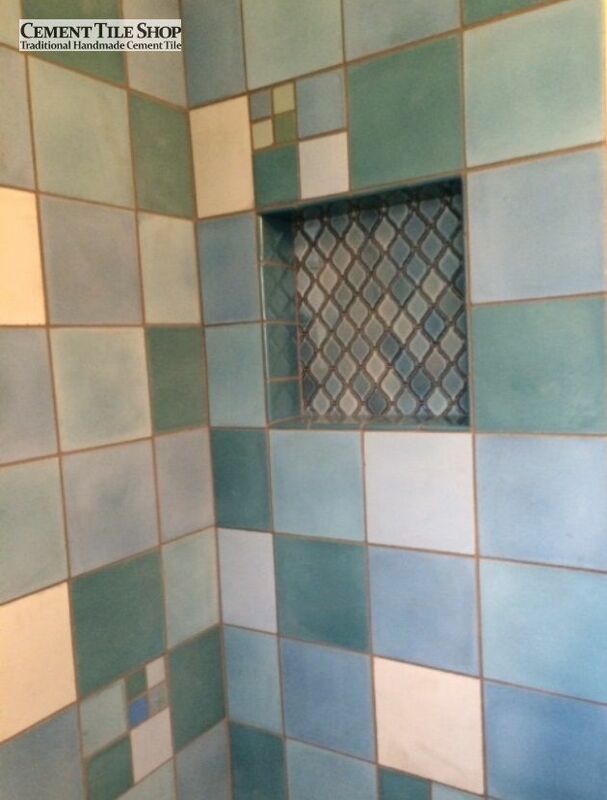 Seattle artist Kari Westphal (www.daisysky.com) sent us some photos of her beautiful bathroom remodel using our Manzanillo pattern along with a mix of solid colors in blues, greens and white. Kari loved the idea of taking a pattern she loved and customizing the colors and she is thrilled by the result. 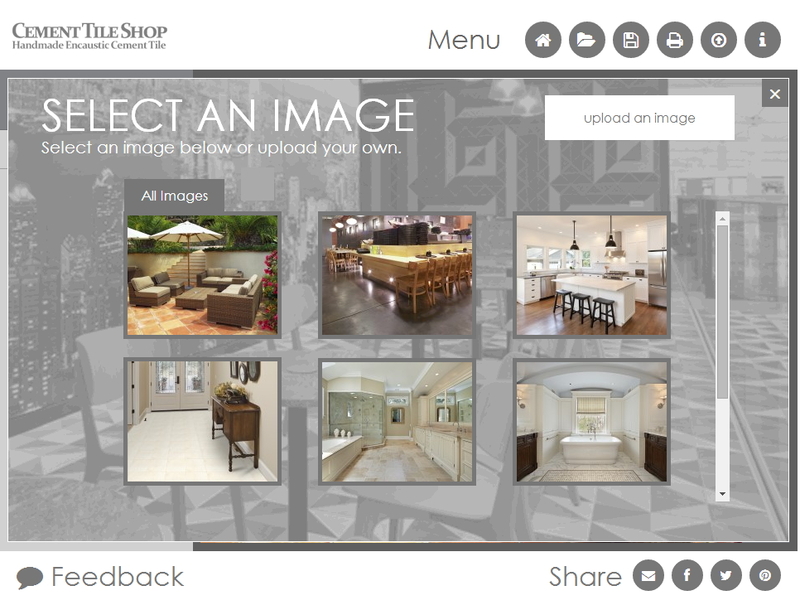 The project was installed by Wilson Tile (www.wtile.com). 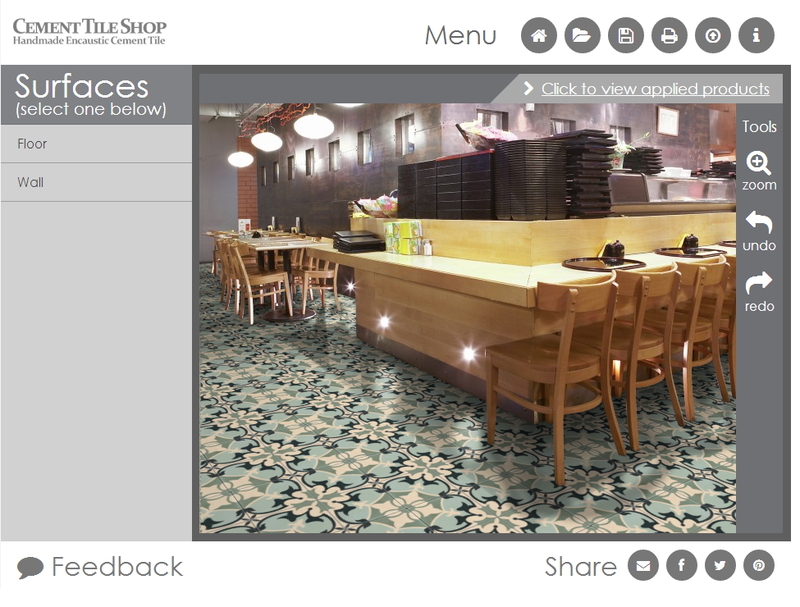 This is an example of the many different looks and combinations you can accomplish by mixing solid colors. 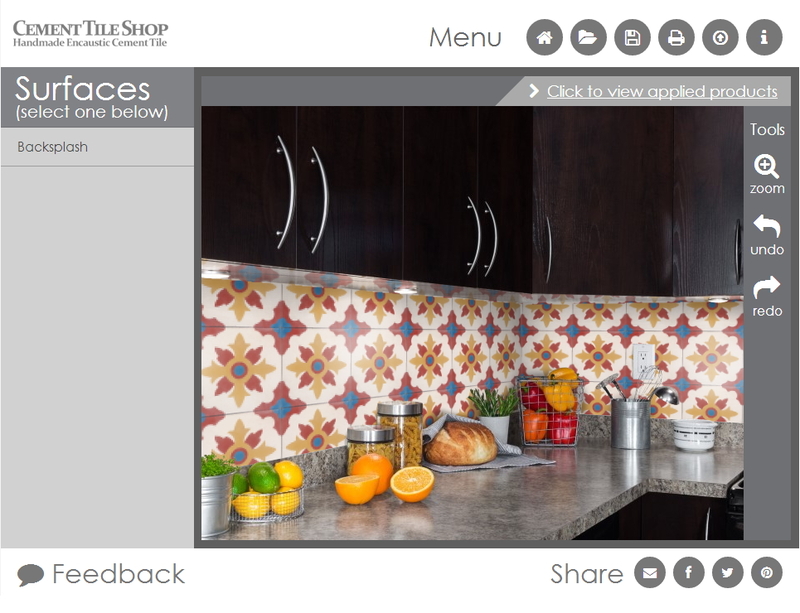 We can customize any pattern on our site in your choice of colors. 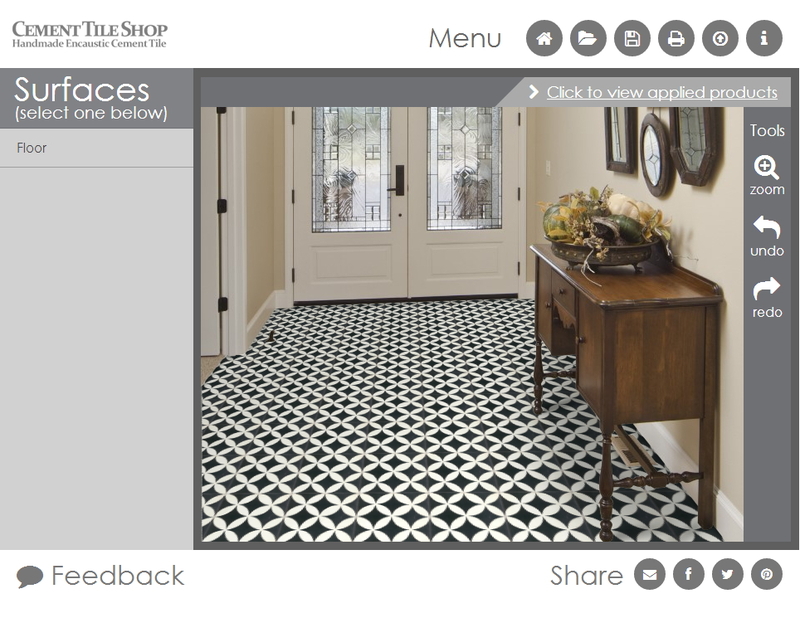 Each pattern has a link to available color choices. Feel free to contact us and we will be glad to help. 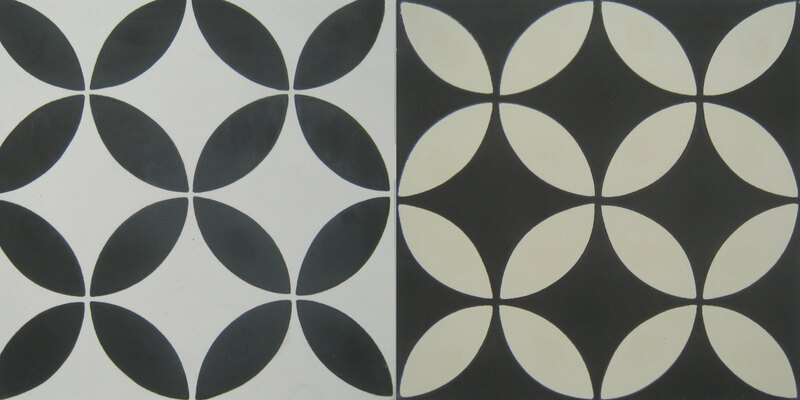 Please contact Cement Tile Shop at (800) 704-2701 for more information or to get started on your custom project.